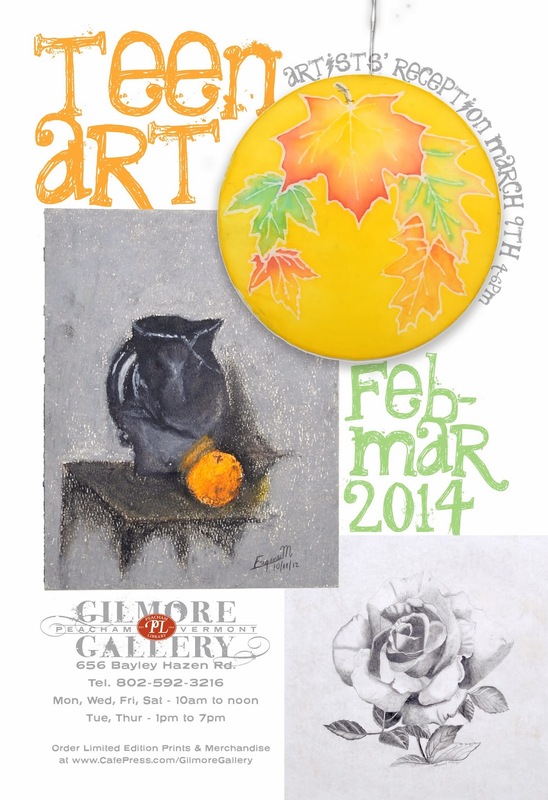 The Gilmore Gallery at Peacham Library is proud to feature several aspiring teenage artists for February and March. Ranging in age from 12 to 18 years old, all of the exhibitors are students at the Christ Covenant School in Marshfield, VT, where they benefit from the school’s robust art instruction program. Media is wide-ranging, from paintings and pencil drawings to silkscreen and sculpture. An artists’ reception at the gallery was held on March 9th from 4 to 6PM. This was a great opportunity to meet a group of talented young artists at the dawn of their artistic careers.